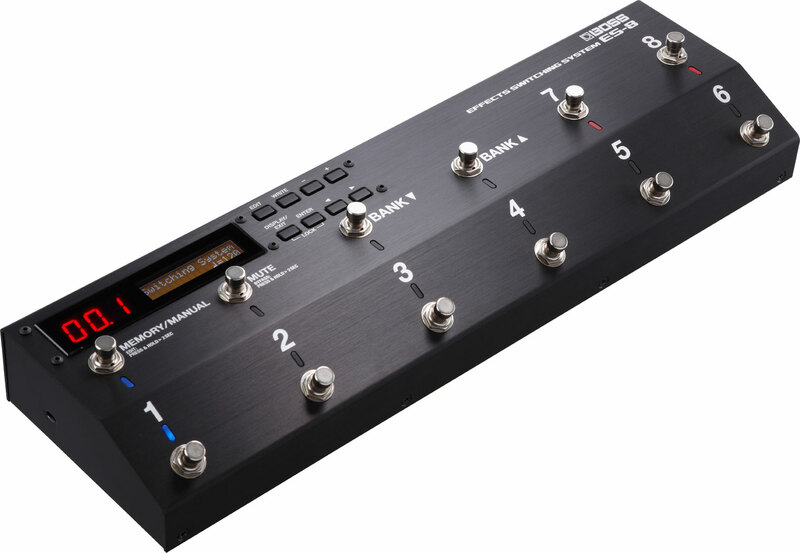 There’s an air of familiarity about the Boss ES-8 Effects Switcher. Yet that’s an accusation that could be levelled at the vast majority of pedals on the market. 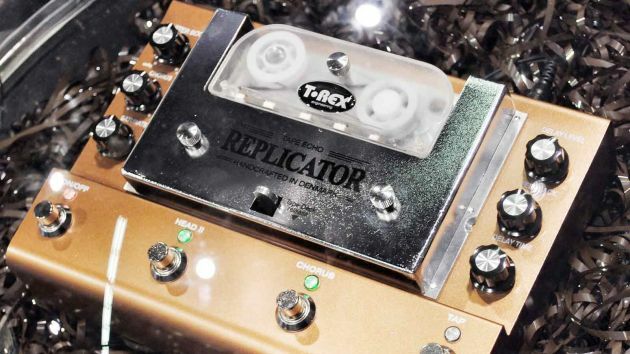 Care to count just how many Tube Screamer clones are on the market? What the ES-8 does is bring pro-level effects switching to a new price point and brings with it the convenience of an LCD screen making it far easier to see (and remember!) what you’ve programmed than rival units. Aside from improving your tone by leaving only those pedals you’re actually using in the signal chain, the ES-8 does so much more: fancy reversing the order of your delay and overdrive pedals for a different sound? It’s a press of a footswitch away. 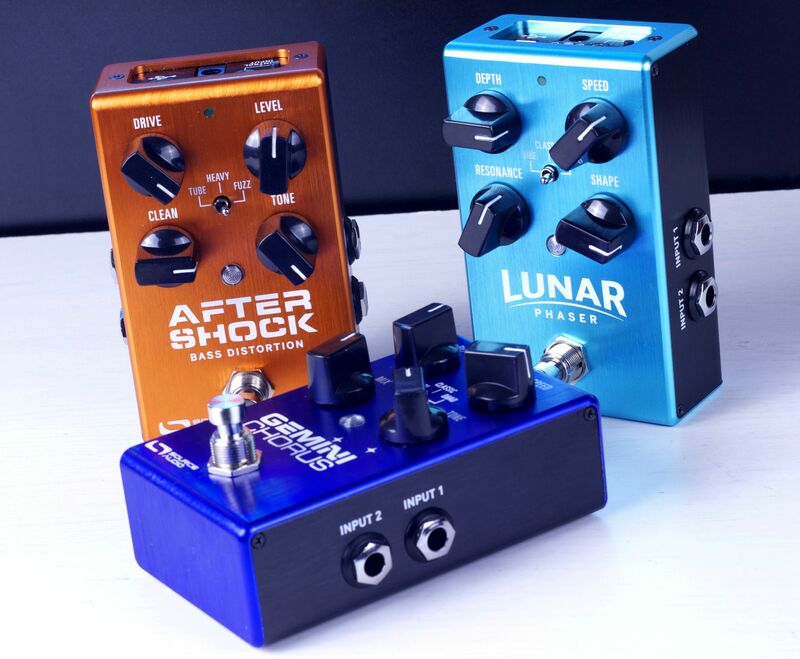 Want to switch multiple pedals in one go whilst simultaneously changing channels on your amp? No problem. MIDI control? You betcha. Your imagination is the only limit. We like pedals that sound good. 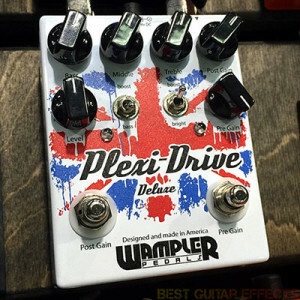 We love pedals that sound good and look good too and the Plexi-Drive Deluxe from Wampler is about as tasty as they come. Sporting a cool Union Jack graphic, this pedal gets the juices flowing even before you’ve plugged in. The standard Plexi-Drive has always been regarded as one of the best pedals for getting that Plexi tone. The Deluxe version builds on that with a three-band EQ and a Tubescreamer-inspired pre-gain section. 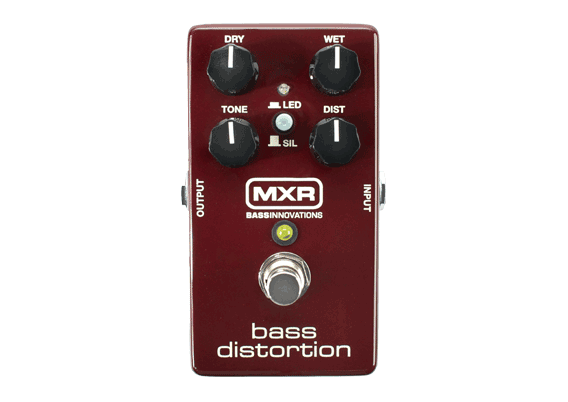 The MXR Bass Distortion isn’t simply another entry into the already-crowded bass distortion market; it’s a collaboration with Ryan Ratajski from Fuzzrocious Pedals. The marriage of ideas from one of the largest effects manufacturers with a highly respected boutique pedal maker is an enticing concept. Could this be the first of many MXR collaborations? The Digitech Trio intrigued us and we can’t wait to spend more time with it. 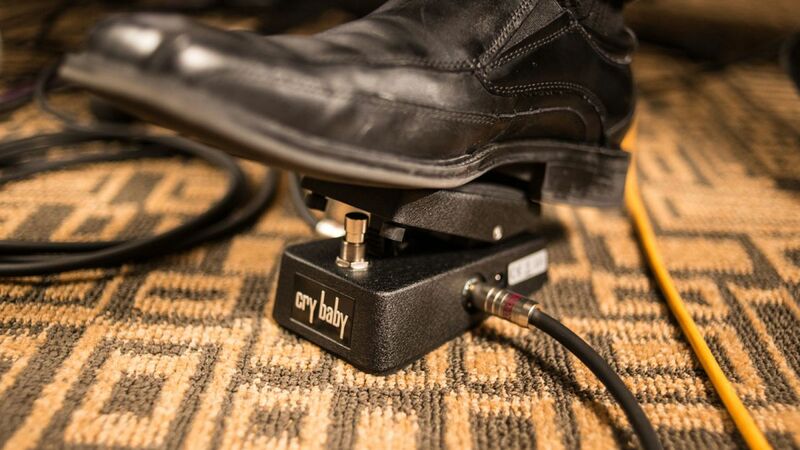 This isn’t a pedal which just plays backing tracks; it’s one that creates them based off what you’re playing! We’re not sure how it works though we suspect there is a team of musical creatures trapped inside who have nothing better to do than play along with you! 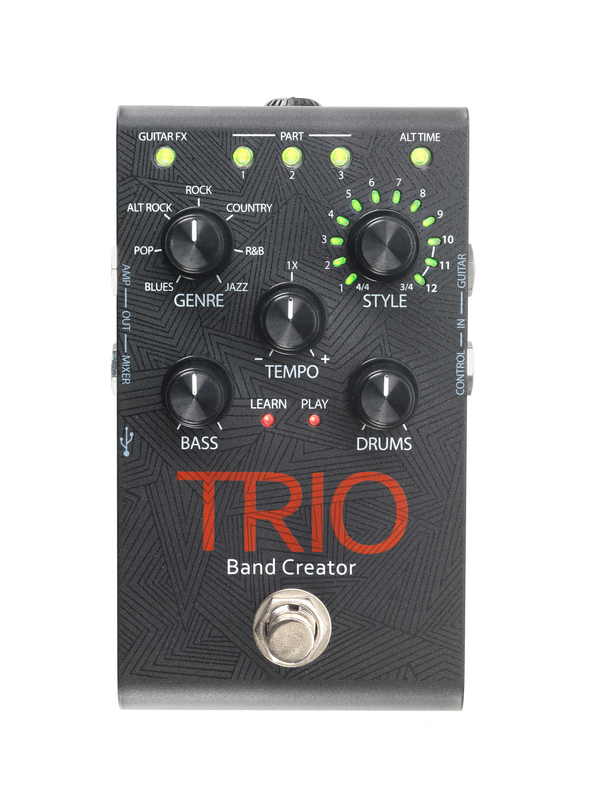 With decent bass and drum sounds which can be adjusted to various styles and tempos, the Trio is sure to make home practice fun. Meanwhile, it will more than earn its keep for solo performers who can break free from the monotony of playing to a fixed backing track. It’s a real innovation within the pedal market. We can’t wait to see a version with presets. 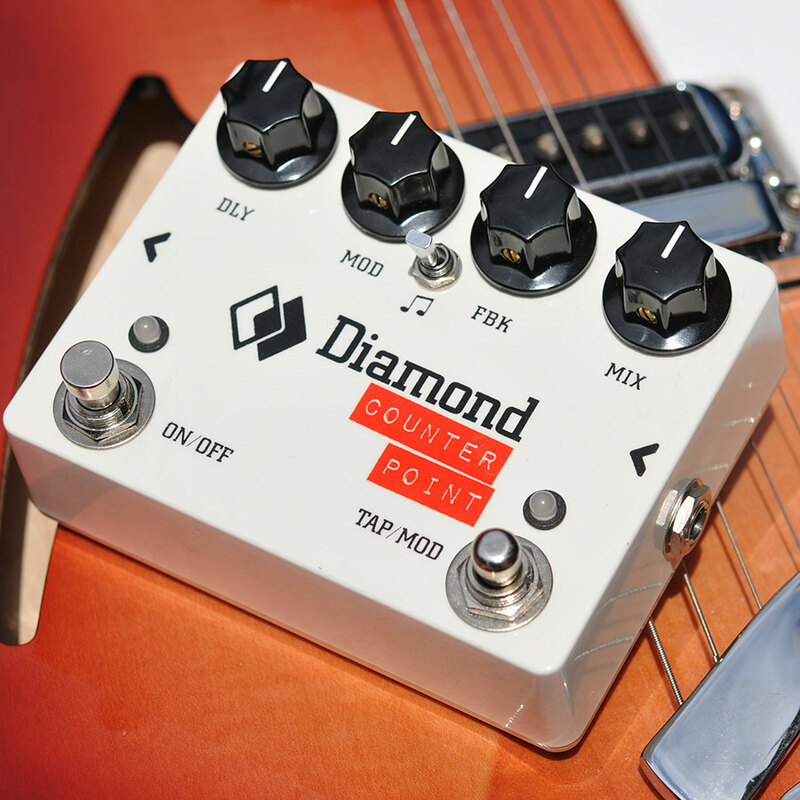 We’re big fans of Canadian brand Diamond Pedals and the Counter Point Delay is a fine example of why. Offering rhythmic and ambient delays, it will appeal to a different type of player than their more straightforward (but still excellent) Memory Lane Jr delay. Multi-Tap voices, modulation and even an ‘Extra Faux Tape’ mode make this pedal stand out and earn its place in our Top 10. The trend to downsize pedals seems to be never-ending. 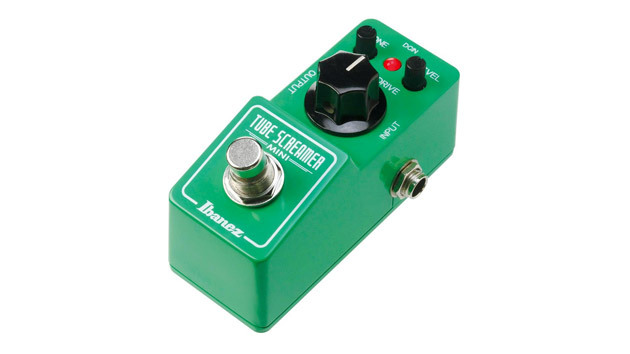 The Tube Screamer Mini makes our Top 10 because not only have Ibanez miniaturised a classic, they’ve miniaturised the price at the same time! At just £65 street price, the Tube Screamer Mini offers you the kudos of the original, classic pedal at the price of a cheap chinese clone. What’s not to like? Continuing the downsizing trend, the Dunlop CryBaby Mini just pips the Tube Screamer Mini to fourth place by virtue of it being a harder pedal to miniaturise. A wah has to be the size of a Doc Marten, right? Wrong. The CryBaby Mini is just as easy and comfortable to use as the standard version yet it’s half the size! Not only that, with the fazel inductor and three separate voicings, the CryBaby Mini actually offers more than its (physically) bigger brother. Without a doubt, the best-looking pedal at the show but also the one about which we know the least. Given its status as a prototype, it was unavailable to demo and was simply on display looking gorgeous. What is not obvious from the still photos is that the tape heads are busy whirling around at the top which looks über cool. Yes, this is a true magnetic tape delay, no DSP in sight! The tape cassette is easily replaceable and to top it off, the pedal also features both chorus effect and tap tempo. OK, so this is a range of pedals rather than a single one but what we like is the concept and control that is common to them all. Consisting of the Gemini Chorus, Lunar Phaser, Vertigo Tremolo, Kingmaker Fuzz and Aftershock Bass Distortion, the pedals all feature simple control layouts. If you’re not into tweaking then these pedals are for you; just simple pedals that offer one effect and do it well. If, on the other hand, you are into tweaking, then these pedals are also for you! Offering full MIDI control via their Hub interface as well as an iOS and Android app, you can load preset sounds or fiddle with umpteen hidden parameters and store new sounds as recallable presets. How far can it go? Well, as an example, the Gemini Chorus can create any sound found on the larger Source Audio Orbital Modulator. And that includes flanger, phaser, vibe etc. It’s like a far more powerful version of TC’s Toneprint idea and we like that! What’s so special about a tremolo pedal that we declare it the best pedal at the entire Namm show? Tremolo is hardly the most exciting effect, is it? Why are we literally drooling all over this pedal? We can’t answer that with words; you have to see the video. This pedal does things no other trem pedal does. 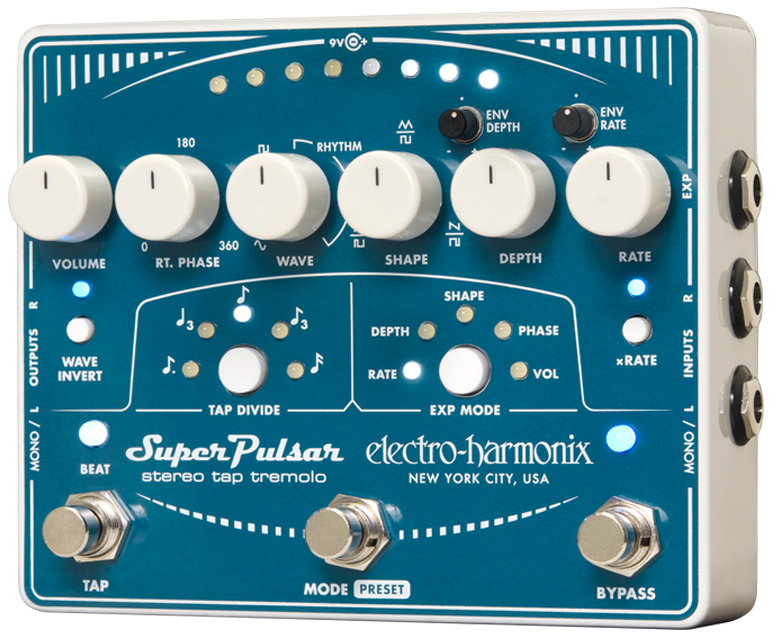 So good is it, that even if you never thought you wanted or needed a tremolo pedal, you will want the Super Pulsar! Electro Harmonix have taken a simple effect and ramped it up to the n’th degree. They’ve created high quality, unique yet useable sounds. Tap tempo allows you to sync the effects to your song while presets allow you to recall some of the many sounds you will find in this masterpiece. The pedal operates well in mono yet, if you have access to two amps, the stereo effects will blow you away. Do yourself a favour: if you already have a tremolo pedal on your board, replace it with the Super Pulsar. If you don’t yet have a tremolo pedal on your board, get yourself the Super Pulsar. If you don’t even have a board, get yourself the Super Pulsar. And a board!